We all love to bet, no matter what it is we are betting on. I read a statistic that said close to 60% of men over the age of 18 have wagered one way or another, on something. Some do it for the adrenaline rush, others do it for the money while others do it to make a game they’re watching that much more interesting. Whatever your motivation for betting is, you should know the basics, and I’m here to help with those with these sports betting tips. There are thousands of ways you can place a wager, from street bookies to a Vegas SuperBook, but I’d recommend using an one of best online sportsbooks. I’ll talk more about that topic in a separate article very soon, but I say this because betting online is safe and convenient, you will find the best lines, and online offshore sportsbooks want your business. If you shop around, you can find perks like bonuses and contests to stretch your betting dollar when betting offshore. When looking for an online sportsbook, you need to find a reputable one that has been around for at least 10 years. You need one with a reliable payout system and sharp lines that move in real time. When making a point spread bet, a point or two here and there can be the difference in your bankroll’s bottom line. Like anything else in this world, at a minimum, you must know the basics of an endeavor you undertake. You wouldn’t randomly throw money into the stock market would you? The same can be said for sports betting. Knowing traditional forms of betting is a must, but getting familiar with fixed odds, where the point spread comes from and other everyday topics need to be learned. For example, knowing why a point spread opened at -3, and has moved to -4.5 can be vital information. Parlays, teasers, pleasures, totals, props and futures are other basic terms that will open a different world of sports betting to you. This will all go a long way to both making betting more fun and more profitable at the same time. No matter how much money you have, or what you’re trying to accomplish by betting on sports, you need to remember this is a risk. You need to determine how much money you are willing to put at risk, and not go above that if you do lose it all. I recommend both an annual and daily budget, so this way you won’t end up chasing a bad beat. Emotional betting can be detrimental to your betting budget (believe me). Of course, how you set your budget is up to you. In the end, not only will setting up a budget get you through the up and down streaks of betting, but it will also make it much more enjoyable. You can see from the little I’ve written above, that there are a lot of betting options, and I’ve barely scratched the surface. It’s well known that the public love to bet the favorite and the OVER, but getting caught up in all that can certainly work against you. Betting systems and strategies are a whole other topic I’m not even going to get into here, but wearing blinders and sticking to one particular train of thought will kill your budget. Like everything else, the landscape of the sport world is constantly changing, so keeping up with the times is important. Maybe spending some of your budget on a reputable pick service may be worth the investment. Just know that you need to win around 52.5-53% of your bets just to break even after paying the juice. So there you have the four tips to get you on your way to better betting practices. Sports betting is a lot of fun, and there is a lot to know. 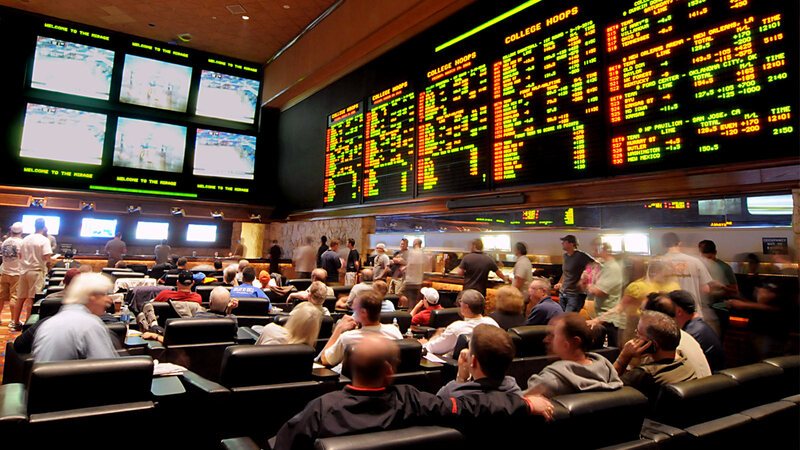 Getting together with other sports bettors during the game, in my opinion, is the best way to learn. If this isn’t a viable option, join a sports betting community forum, and get chatting with some guys that share the same interests as you. I hope this was helpful, and stay tuned for more to come. Get the latest sports handicapping information, BreakTheBankCasinoSportsbook.com provides news, and information about betting on football. Plus a list the best online sports bookie, price per head software providers, with the hopes of you finding one that meets your expectations. ©2019 Break the Bank Casinos Sportsbook.